A year ago FreshPlaza spoke to Anthony Pile, owner and founder of Blue Skies, about the consequences of the Brexit decision and the need for companies like his to now look further afield to minimise the effects caused by the vote to leave Europe. We spoke to Anthony's son, Hugh who has recently joined the company as Chief Marketing and Sales Officer. "Brexit took many people by surprise and as a company our exposure to the global market conditions means that we need to continually look at new opportunities," explains Hugh. "We were doing this anyway but Brexit just sharpened the focus on this side of our business." "Our customers really appreciate the high quality of the fruit we provide and the fact that it is hand cut or hand prepared. Because of our strong global network, we can continue to supply our customers across the globe throughout the seasons." Fresh cut is driving the fruit and vegetable sector at the moment, as consumers want convenience in their modern lifestyles, and as this trend spreads to developing countries, the opportunities are huge. Asia is one of these new markets for Fresh cut and Blue Skies are certainly looking at it. "It is not the easiest market to enter," admits Hugh. "You must have a strong understanding of how the market works, you need to know how and when to go there and with which fruits. You also need a strong partner. We have people on the ground at the moment scouting out the right partners and opportunities." Hugh said they are very interested in the E-commerce world, but one of the issue they face is shelf life, "We don't mess around with our fresh products, they are harvested when they are just ripe, cut and packed and sold. So we are looking into how that would work just now." 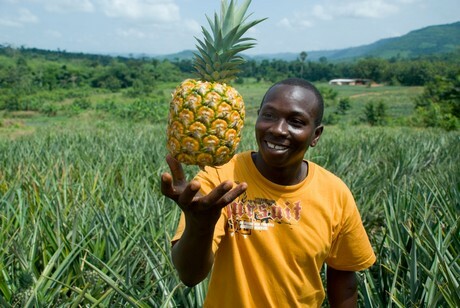 As a company which started out processing fruit in Ghana, Blue Skies now have more hubs in Brazil, Egypt and other African countries and can air-freight produce around the world very quickly. Hugh said that it is not impossible that they would open new hubs closer to new markets. There are also big opportunities in the local markets where Blue Skies source and process the fruit: the middle classes are increasing and people are very interested in healthy eating and of course convenience. By growing, processing and selling in these local markets it possible to mitigate the Brexit effect. "We are looking to build a brand in these markets," said Hugh. "We sell a lot of our produce to the European retailers which they then brand under their own name, but in some of our local markets the produce has always been know as Blue Skies and now we are actively promoting our brand there. "In January we redesigned the packaging and are investing to make sure we grow the local market sales; this not only for fresh cut but also for juice which is a big opportunity. In Ghana and South Africa we already have 20 different flavours of fresh juice available." 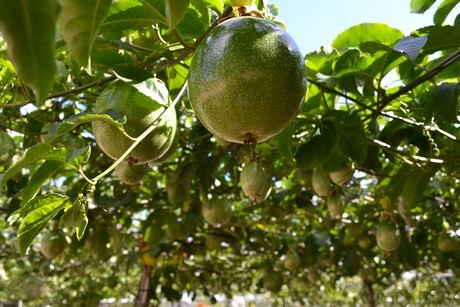 Blue Skies also have a potential partner in the US which would enable to them to take fresh cut fruit to that market, but according to Hugh it is still early days.